You are here: Home / Domains, Producers & Appellations / The Republic of Venice – part two. Romeo and Juliette - Amore alla Veronese! In the Republic of Venice part one, the delightfully expressive wines of the great northern Italian district of Soave took center stage. Yet, in the land of Shakespeare’s Capulets and Montagues there is another dominant voice of the vine that has celebrated the Veneto’s rich wine heritage for centuries – Valpolicella. 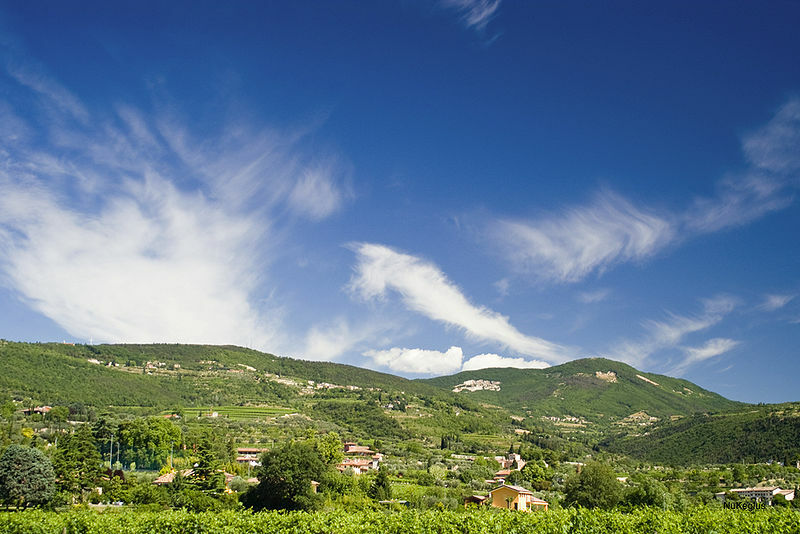 Flanked to the west by the vineyards of Bardolino on the shores of Lake Garda, Valpolicella is one of Italy’s most significant wine regions, second in Italian DOC wine production only to Chianti. Here, over 12 million bottles of still, dessert and sparkling red wines are produced each year! Crafted from the Corvina Veronese variety with a 70% minimum requirement and allied predominantly with the varieties Rondinella and Molinara, Valpolicella DOC wines show lively acidity, are soft and light-bodied displaying fruit characteristics of sweet-tart cherries and cranberry. Minimum alcohol is 11% with no aging requirement and these wines are meant to be consumed young, even slightly chilled. Up one tier and of a somewhat more-textured and fuller profile is Valpolicella Superiore DOC which must achieve a minimum of 12% alcohol and be aged at least one year in wood. Moving to the qualitative heart of Valpolicella wine making we find Valpolicella Classico DOC which is the designation for what are consistently some of the district’s more substantive wines. 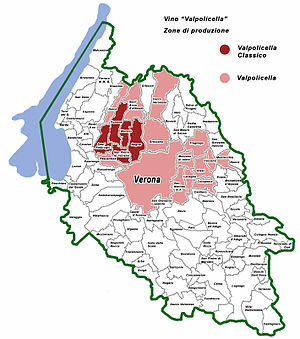 The delimited classico production zone located in the Monti Lessini foothills northwest of Verona is the historical core of the Valpolicella district. Over 40% of Valpolicella’s wines are produced in this area. The vineyards lie on slopes consisting of morain gravel to volcanic rock ranging from 400 to 1500 feet in elevation with wines typically showing more weight, nuance and potential for mid-term ageability. Valpolicella vines with the Monti Lessini in background. Perched at the top of this pyramid is Valpolicella Classico Superiore DOC. Here, one finds some of the most compelling wines the district has to offer. And, just as for Valpolicella Superiore DOC, the Valpolicella Classico Superiore DOC wines must be aged at least one year in wood and achieve a minimum of 12% alcohol. Yet, unlike Valpolicella Superiore DOC, Valpolicella Classico Superiore DOC wines are required to be made from grapes originating within the delimited classico zone. 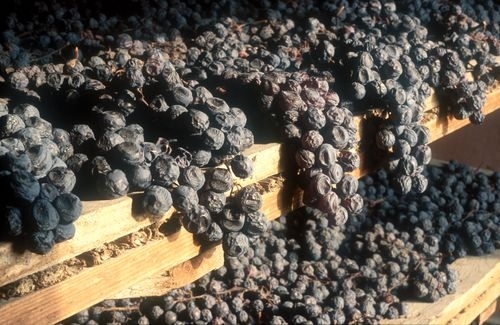 Additionally, a small-production style of Valpolicella known as Ripasso della Valpolicella DOC is produced employing the ripasso method where pomace, or stems, skins and seeds from recioto or Amarone (to be discussed below) is added to a batch of Valpolicella DOC and extended maceration results in extracted, robust wines. The pomace also serves as food for the remaining fermenting yeasts thus increasing the final alcohol level in these wines. This style has been made since the late 20th century with the first producer to bring these wines to market being the renowned house of Masi in the 1980’s. In 2009 Ripasso della Valpolicella was accorded DOC status. Amarone in the making - the virtue of patience. Yet of the great reds of the Veneto few achieve more complexity, weight, texture and age-worthiness than Amarone della Valpolicella DOCG or simply, Amarone DOCG! Amarone in its highest form can exhibit fabulous, multi-dimensional characteristics where layered, rich black fruits, leather, licorice, savory notes of smoked meats and tobacco are woven around a precise and harmonious fruit/acid/tannin structure. The production method is unique – harvested grape bunches are traditionally laid out on straw mats or hung from the rafters of well-ventilated rooms for approximately 120 days. The goal is to allow the grapes to partially dry, shrivel and concentrate their sugars and flavors. The juice is then completely fermented leaving no residual sugar and the resulting wine is aged in neutral oak casks, typically achieving 15% alcohol. This process yields fleshy, full-bodied wines with sweet, raisin-like aromas and soft acidity. Similarly, Recioto della Valpolicella DOCG employs the same drying process but here, very ripe grapes are allowed to desiccate. This concentrates sugars markedly, inducing an arrested fermentation and resulting in unfermented, residual sugar that creates rich, sweet, dessert wines of great character! The Recioto di Soave DOCG wines discussed in the previous segment are made in this fashion as well and are often stunning! A recent and delightful discovery for me was the Morar Amarone della Valpolicella DOCG 2004. Its beautiful medium-ruby hue yielded to lovely notes of black raspberries and licorice on the nose. The texture was lush with additional layers of strawberry, black cherries and cola along with hints of dark raisins from the traditional wine-making process. Several years of bottle age had produced supple tannins making this a refined wine of understated elegance that was almost begging for roasted venison with a blackberry, balsamic reduction! For an Amarone with some cellar aging this is a great value at around $50 per bottle! Other noted producers of reference include: Masi, Speri and Allegrini. 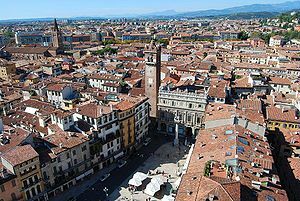 Finally, one would be remiss to vacate the discussion regarding the majesty of the Republic of Venice and the great wines of the Veneto without taking a moment to revisit that timeless and fateful boy-meets-girl tale cast in the magical city of Verona. In Shakespeare’s classic of two wayward lovers bound eternally by a tragic destiny we are treated to the high drama of unconsummated love. But wait! Can one say with certainty that Romeo’s absence sprung from allegiance to blood line rather than unforseen vice? 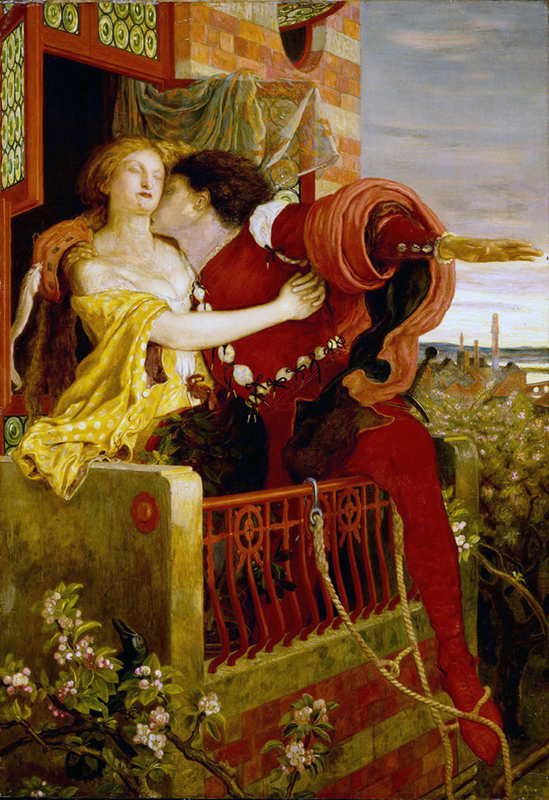 O Amarone di Verona, would that thou hath but advised of thy temptations; for Romeo surely tarries solely to quaff thy nectar while I, faithful maiden, on high balcony linger, betrayed by the treachery of thee, sweet seductress, who hath stolen the object of my desire! « The Republic of Venice – part one.